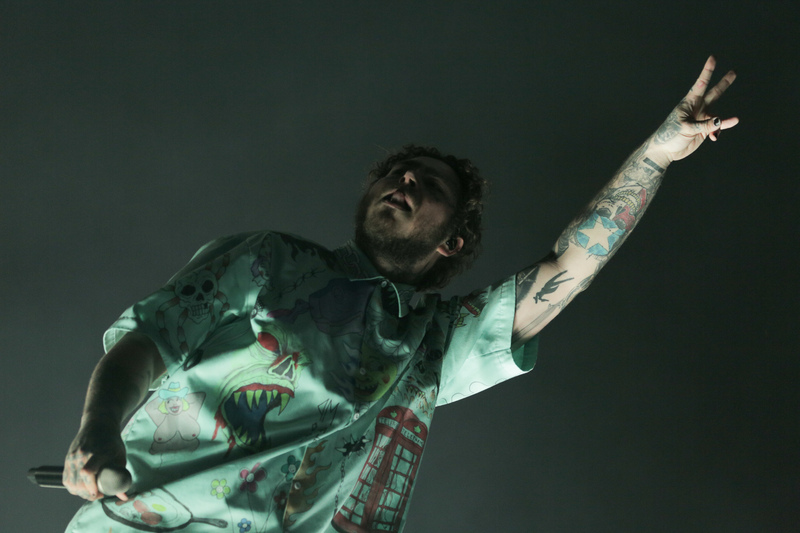 Post Malone is the product of an Insta-famous generation. 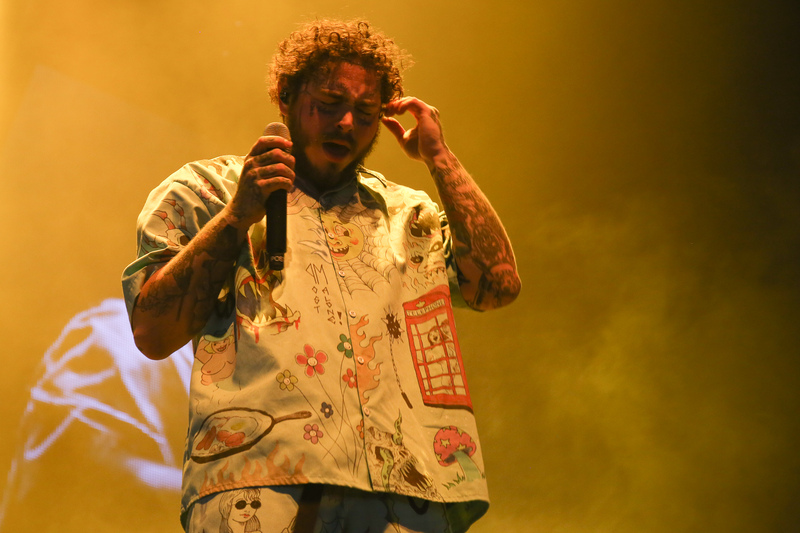 Having shot to fame in 2015 after the YouTube release of his video for ‘White Iverson’, Malone hit one million views within a month, and was propelled from relative nothingness to full-blown stardom in less than a year. The magnitude of his career has reached epic proportions since then, and he has collaborated with the likes of Kanye West, Nicki Minaj, and 50 Cent, and received praise from numerous other prominent musical figures. 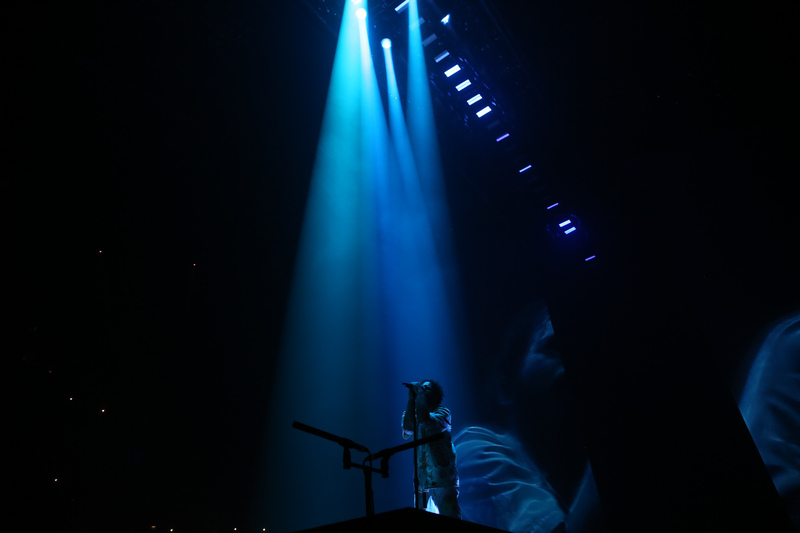 The prevalence of social media did not go unnoticed when Malone performed at London’s O2 Arena last week. The Instagram handles of support acts Tyla Yaweh and Roddy Ricch lit up huge LED screens as they performed, with countless reminders to the audience to follow them before their performance time was up. A sea of phone cameras was visible at all times throughout the gig, and fans were quick to turn on their torches when requests for lights in the air were given. 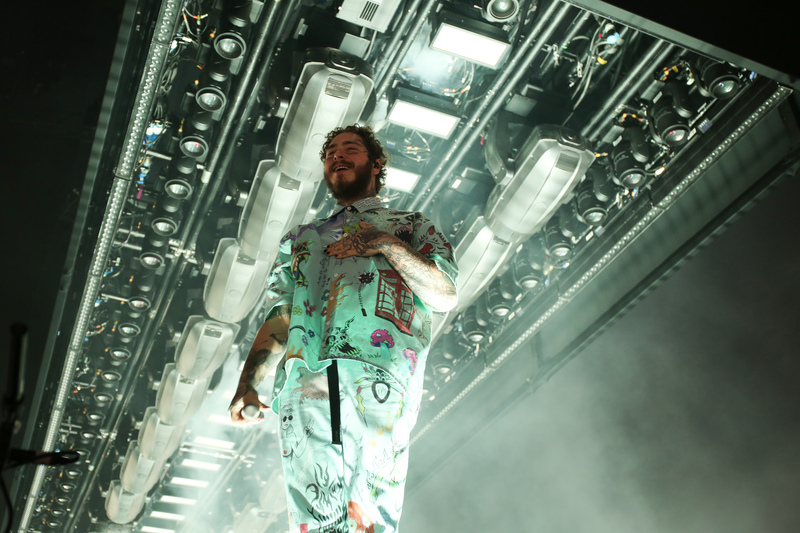 But Post Malone doesn’t need gimmicks to engage an audience. Strolling on in a matching two-piece patterned with telephone boxes, Big Ben and more, his instant stage presence was undeniable, and it was hard to believe there was just one man and a microphone stood alone in front of 20,000 people. Every line of every song was sung back to him at least ten times the volume, and the atmosphere remained electric for every second of the 90-minute set. 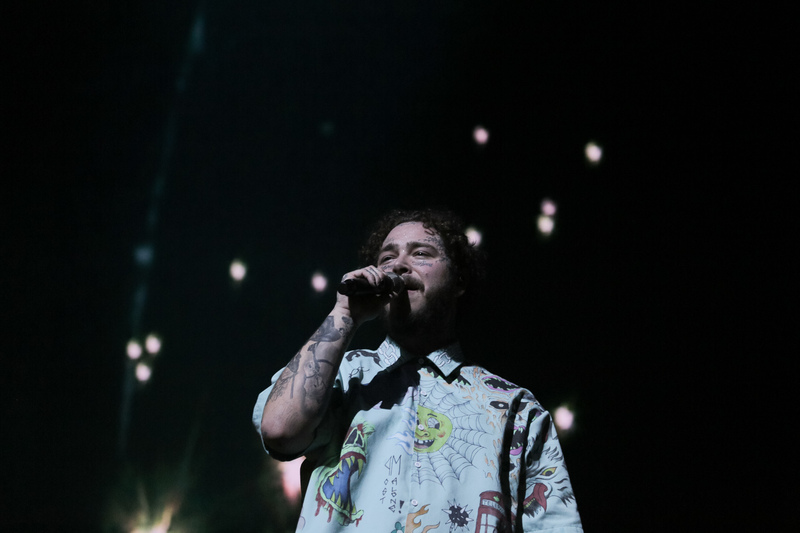 Meandering through all his major hits and favourite tracks from both his studio albums, 2018’s Beerbongs & Bentleys and 2016’s Stoney, Malone interwove older with newer tracks to perform a set list that summed up the length and breadth of his musical career. The seemingly simple and repetitive nature of chart-topping hits ‘Better Now’ and ‘Psycho’ translated brilliantly into a live setting, with the lyrics bouncing from every corner of the arena and allowing even the least dedicated fans to recognise and join in with the tracks. Smashing a guitar whilst performing ‘Rockstar’ as always, Malone continued to pursue a reckless persona as he invited fans to join him in smoking a cigarette mid-set, and stated that slower track, ‘Stay’ was “boring”, even telling fans “if you need to go for a piss, now is the time to go”. But there’s something not quite convincing about Post Malone’s rock star persona. 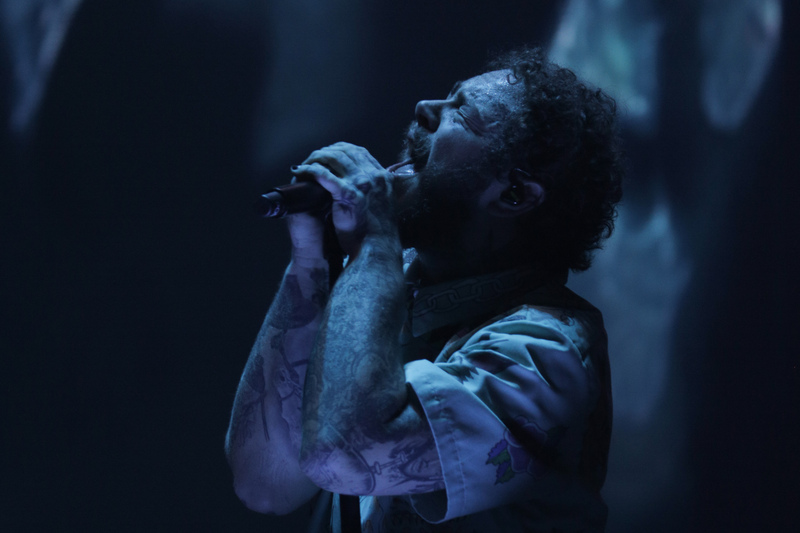 He dedicated more tender track, ‘I Fall Apart’ to anyone who’d ever had their heart broken, it’s stripped back chorus revealing his raw isolated vocals as close-ups of Malone grasping the microphone on the big screen attributed to an intense yet intimate feel. Finishing the set with ‘Congratulations’, Malone dedicated the track to his manager (who had always wanted to put on a show the O2) and implored the audience in a motivational speech to “never let anyone tell them [they] can’t do it”. 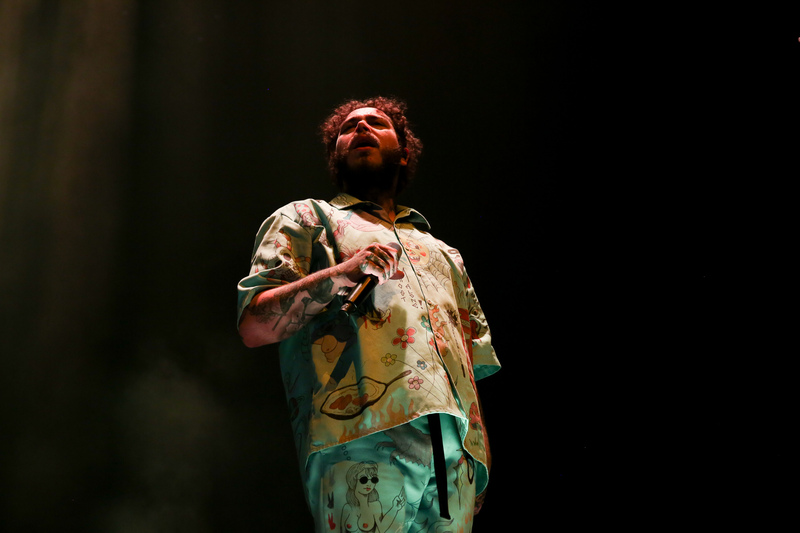 Despite all his cussing and faux modesty, there’s something undeniably vulnerable about Post Malone. A multi-millionaire at just 23 years old, it’s hard to imagine just how much his life must have changed in the past three years. 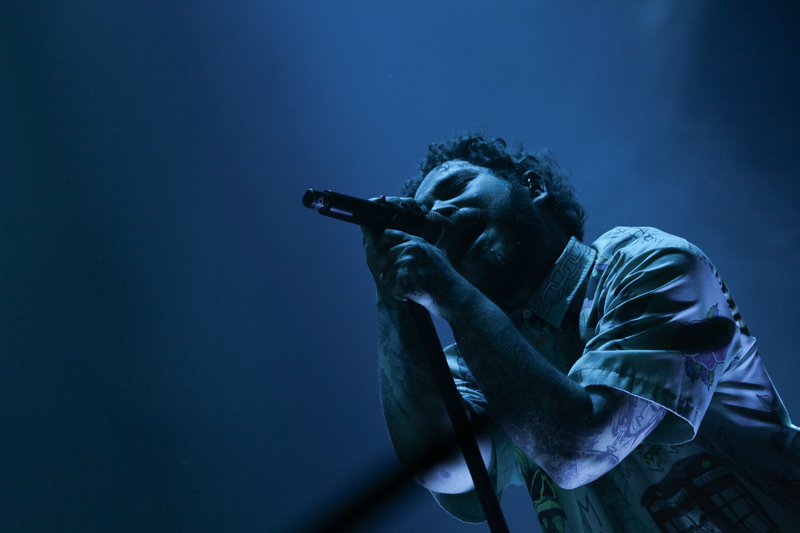 Although on the surface, Malone’s tracks may seem repetitive and commercial, they bring audiences together in ways many other’s music never could, and his shows are overwhelming evidence of the sense of community that he and his music create.